KnowBe4 has seen explosive growth for eight consecutive quarters. Massive data breaches in the first half of 2015 such as Anthem and OPM, affecting millions, have left C-level execs scrambling for a way to manage the problem of social engineering. Even the FBI sent an alert on June 23, 2015. As a result, security awareness training has gone from lunchroom-to-boardroom in priority, exceeding a billion in worldwide annual revenue. 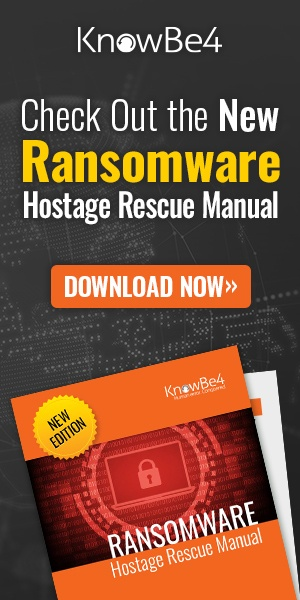 With the average cost of ransomware infections running over $18,000 per victim, relegating security awareness training to an annual lunchtime ‘death by PowerPoint’ is no longer a viable option. With our explosive growth for the past 4 years and Q2 2015 being 353% percent over Q2 2014, and over 1,500 enterprise accounts using us to manage the problem of phishing and social engineering, we thank our employees and customers for their commitment and trust. KnowBe4 marked our growth with expansion into a new 15,000 sq. ft. office and capacity to grow to 100 staff. With a clear 180° view of Tampa Bay’s white sandy beaches, KnowBe4 has become a very attractive place to work and visit! Employees need to be stepped through effective security awareness training so that they do not fall for criminal social engineering tactics. Find out how affordable this is for your organization, and be pleasantly surprised.